The Estonian Academy of Music and Theatre Choir has been in existence for several decades. It mainly consists of students in the Department of Conducting and the School Music Institute and its repertoire includes pieces from early Gregorian chants and polyphony to new works by contemporary authors. Estonian choir music and cooperation with leading Estonian choral music composers (Tormis, Pärt, Eespere, Sisask, Uusberg and others) plays an important role in the activities of the choir. The EAMT Choir has cooperated with several other collectives, including Tallinn Chamber Orchestra and Estonian Philharmonic Chamber Choir. Among its former conductors are Toomas Kapten, Ants Üleoja, Kare Hanken, Robert Cowles, Jaan-Eik Tulve and Toomas Siitan. 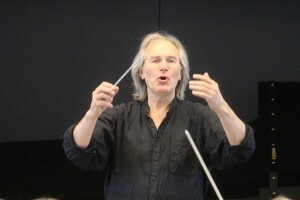 Since 2010 the artistic director and conductor of the EAMT Choir has been Tõnu Kaljuste.